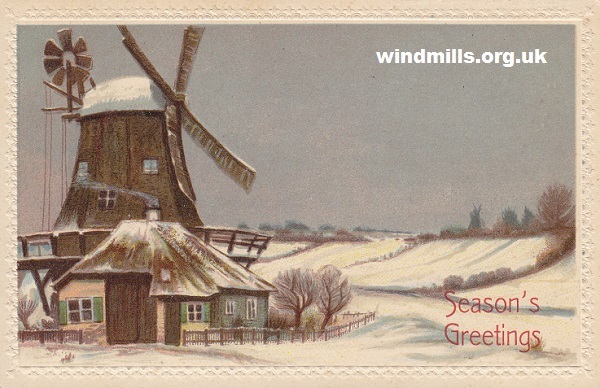 A Christmas card posted in 1907 featuring two windmills. We wish all our visitors a very Merry Christmas and a Happy New Year! This entry was posted in Old Images, Windmills and tagged Christmas, windmills on December 24, 2014 by Tower Mill.